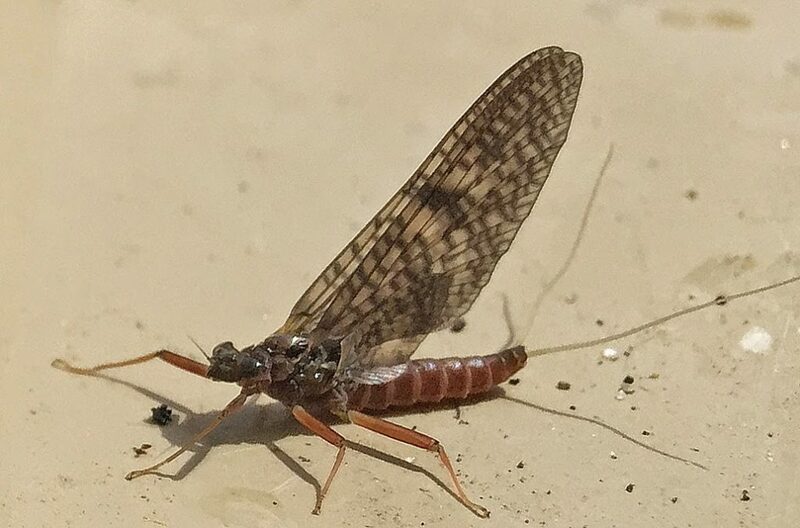 Pretty remarkable fishing lately utilizing multiple tactics including the dry fly to rising fish, prospecting with the the dry, prospecting with nymphs and streamers…..Pretty much the mixed bag. 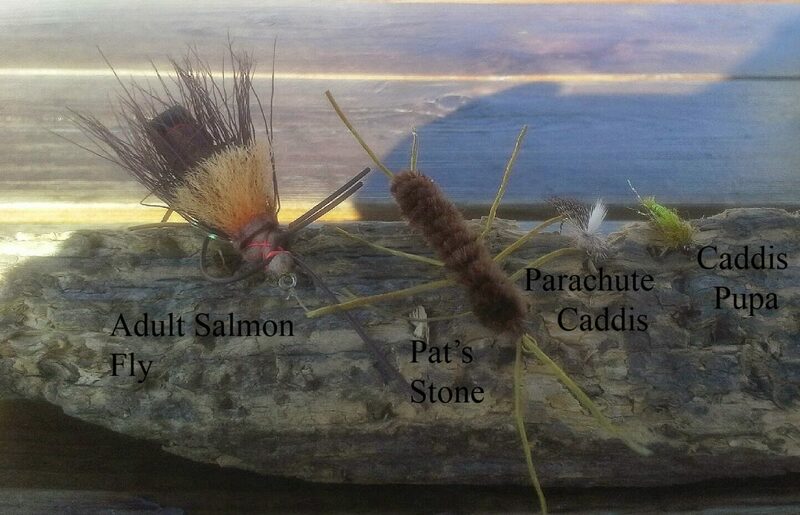 Cooler temps lately slowed the Caddis down a bit, but with the projected weather of next week, our guess is that Mother’s Day Caddis will come early in 2015, meaning next week. Stay Tuned! 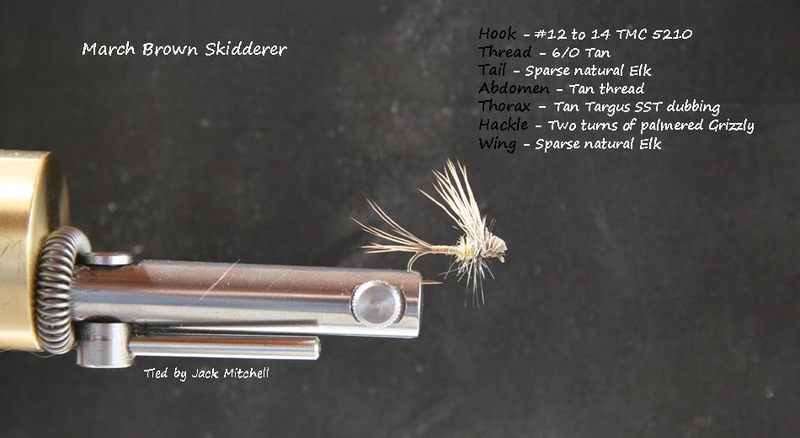 Tougher fishing recently….Lots of bugs; Water temps averaging around 49 degrees. Close to the Mothers Day Caddis hatch which is ‘prolly’ making things a little difficult as the trout have AMPLE food choices. 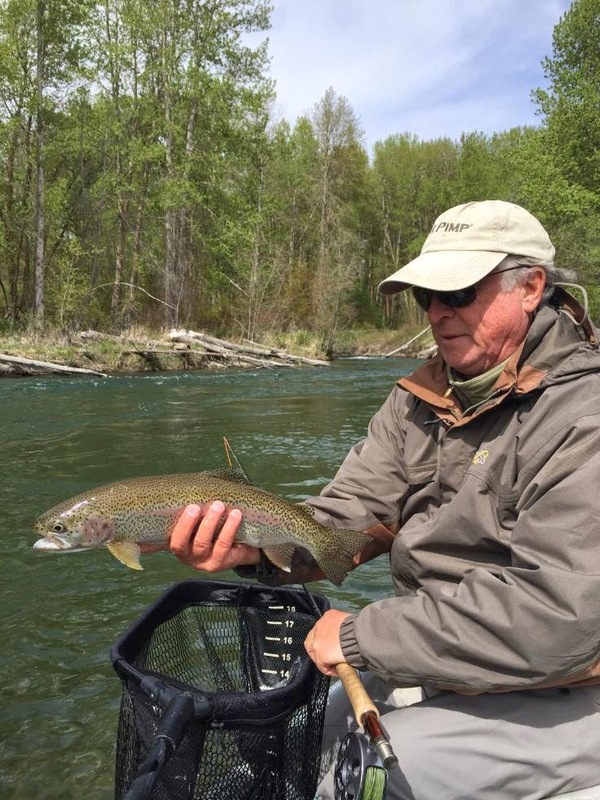 The river is in GREAT shape and should be good to great fishing on the opener…. We’ll be there! 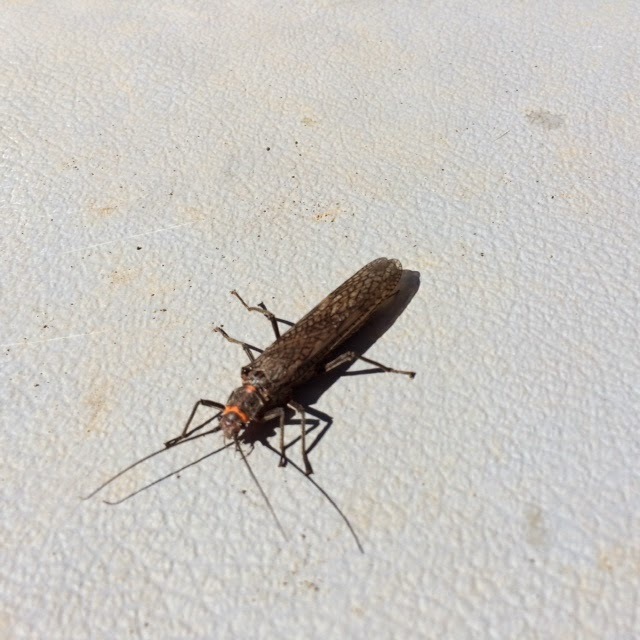 Recently one of the major highlights on the river has been the Salmon Fly. This is certainly the Snicker Bar of food choices right now. In addition to the Salmon Fly, other bugs include a variety of Caddis with the Mother’s day Caddis just around the corner. 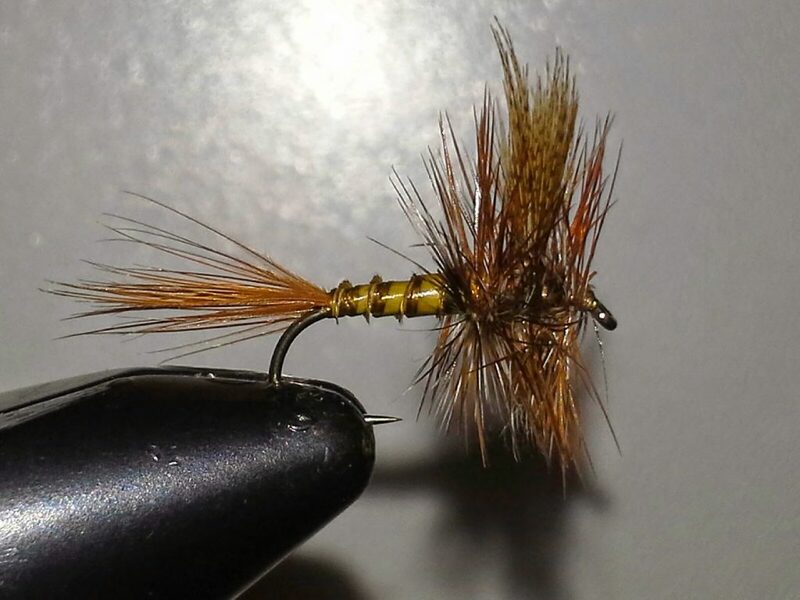 March Browns are still prevalent on certain days and locals. 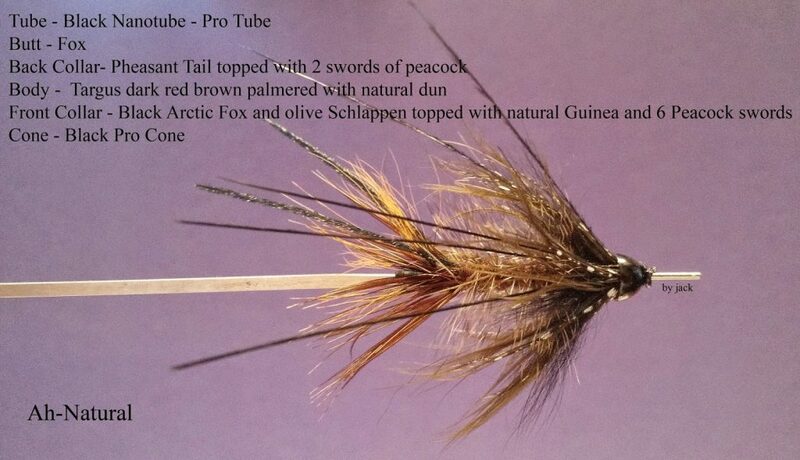 The March Brown has been the ticket lately; Second place has been the Salmon Fly! Sorry for being a bit delinquent lately on all reports including the Yakima. Our busiest Spring ever! Fishing has been consistent throughout the entire system; From Easton to Roza. Currently the predominant highlight on the river is the March Brown – Below are some of our favorite patterns. 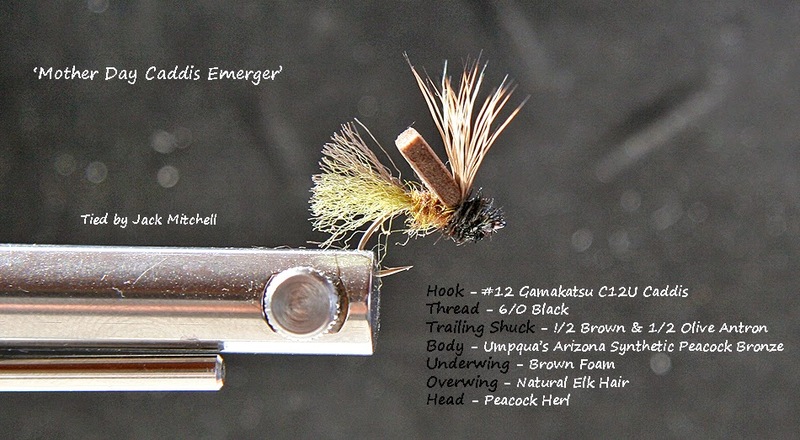 More Caddis, as we have a few showing sporadically already. 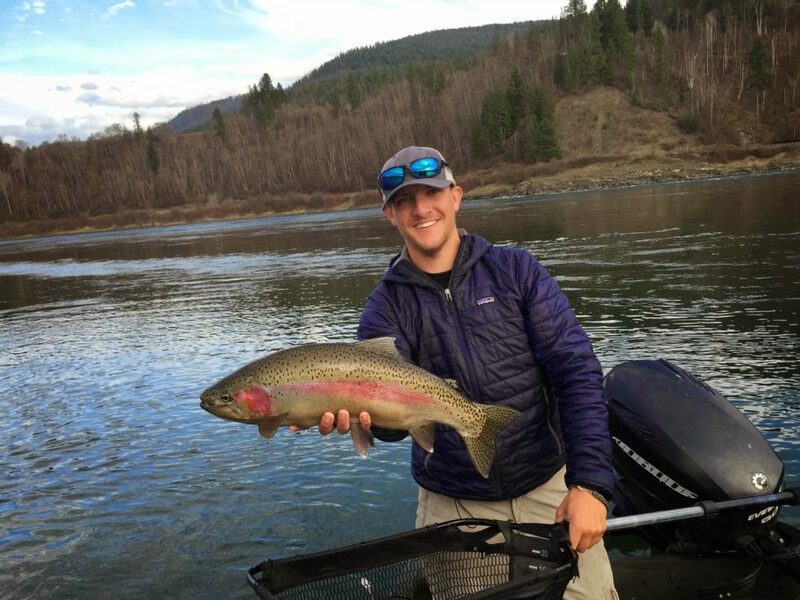 As per usual, the Upper Columbia has produced some nice fish lately. The river is a challenge and can be unpredictable; regardless the fishing and the fish are worth it. Our early season was pretty darn good save for a few days. Currently we are seeing some Blue Wings, and a few Skwalas. At this time we are scheduling dates and pushing for the bigger “Hatch Season” (Caddis, PMD’s, Beatis, Drakes and more) from May 15 – July 25. We have quite a few dates left but are certainly filling. The season is close to being over. The fishing/catching on both the swing and the nymph recently has been good. We thank all of you who hung out with us on the OP this winter and we look forward to next season…. If it is on your agenda, get dates now as we are already scheduling for ’16 – Jan 1 – Apr 15.